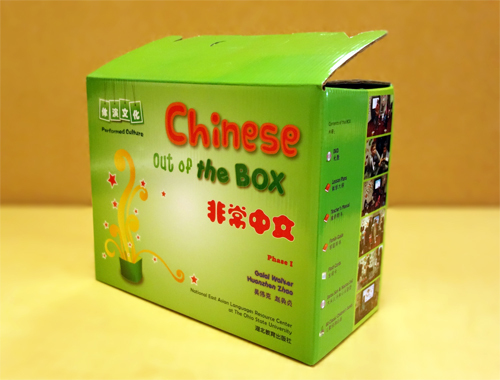 What is Chinese Out of the Box? 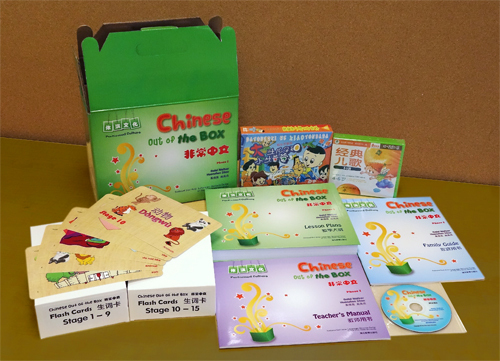 Chinese Out of the Box is a complete set of materials for developing the foundation skills for Mandarin Chinese for children who have not been previously exposed to the language. Its basic assumption is that children aged 5-10 are a valuable language learning resource: they are ready to learn in a classroom setting and they are able to develop accurate listening and pronunciation skills. After several hours of active contact with the language, children of this age have developed better pronunciation than college students with several months of study.